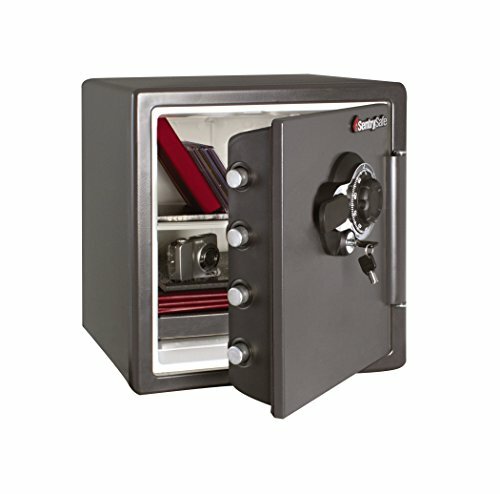 Whether you want a safe that gives you quick access to protect yourself against break-ins or thieves, or a secure storage safe to store your handguns away so these won’t be accessible to your kids or family, the SpeedVault SV500 may be your solution. It comprises the features and the security exactly what you may be looking for. Everyone knows that safety and dependability are the main priorities when it comes to the ideal safe, and that’s why the GunVault’s SpeedVault has a work ethic and focus on providing users with the top quality safe handgun storage solutions. 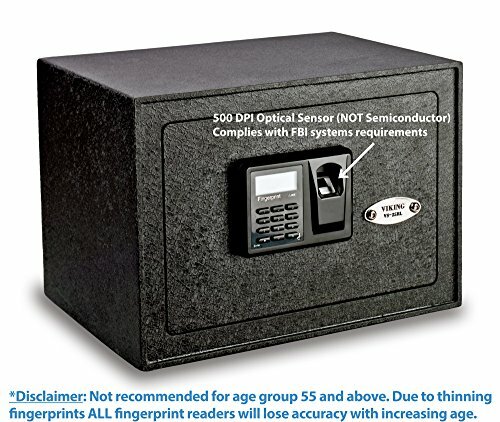 As an innovator of quick access firearm vaults, GunVault offers the most state-of-the-art solution in terms of security and technology, including biometric security systems as well as a patented No-Eyes keypad that makes quick access a reality, especially in the dark. 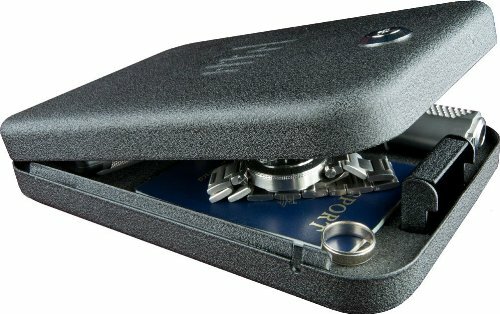 Placing your firearms in a quick-access vault like this is not only a smart choice but is the sensible thing to do. 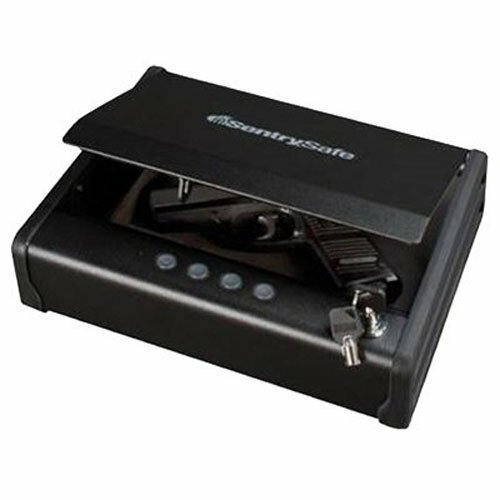 Moreover, you won’t like to have a small safe that can easily be stolen in case someone finds it in your nightstand or bedside drawer (where you had concealed it). That said, you still need to be able to gain access as soon as possible in case of emergencies.That’s where GunVault gives users the smart solution by designing the GunVaultSV500. 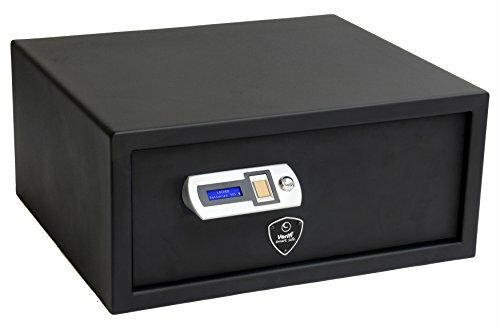 GunVault designs its safes like the SV500 to be conveniently mounted anywhere in the house, be it in your living room, bedroom,or office, so that you can easily reach your handgun in any unsafe or emergency situation. GunVault takes all options into consideration, making the SV500 suitable even for putting it in your car without disrupting the ambiance. 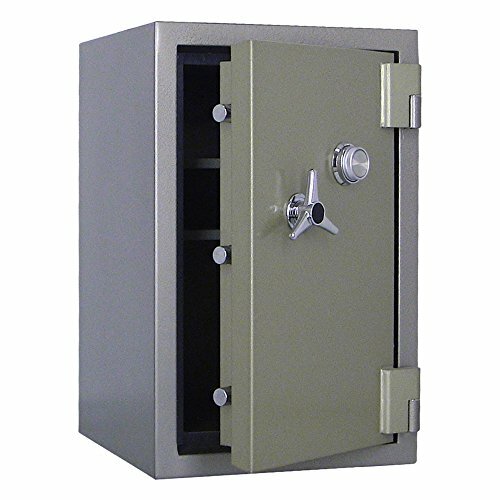 Thus, this GunVault’s safe is definitely the best brand choice for any homeowner or business person who is looking for impeccable safety and security. 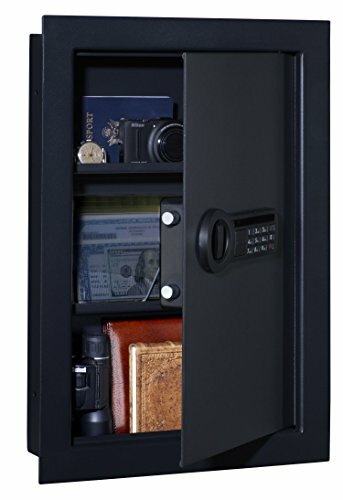 As one of the top gun safes, the SV500 is equipped with a digital keypad that provides users an option to set any passcode. Numerous individuals prefer biometric systems over passcode options for better security. Furthermore, you have a four-digit keypad to avail 11.3 million passcode options so that you can make use of a variety of four-digit combinations for better security. There are moments where you are really busy at work, have trouble managing your kids at home or just have a lot on your mind. In such situations, it’s likely that you might not notice your safe running low on battery. That’s where the vault’s LED light system comes in. Even if you miss the lights, an audio alert is also there to make you aware of the situation so you can deal with it quickly. Additionally, if you forget your passcode by any chance,it can be troublesome in an emergency situation. But there is no need to worry as the SV500 comes with two back up keys that let you open the safe, replace the battery or reset the keypad so that you’re prepared for any situation. The SV500 offers a tamper mode. When you press both 2 and 3 keys simultaneously for a duration of 5 seconds, the LED will switch to red or green. When it turns green, you’ll know that the last entry was correct. If the display is red, you know that someone who did not know the passcode tried to access the safe. This is especially useful for parents who have kids. Every time you use the keypad a beeping sound is given out. If you don’t want to deal with the noise, you can activate the silent mode using the mute button placed in the safe. This allows you to turn off the beeps, which can be especially useful in emergency situations like break-ins or burglaries where you’ll want quick and silent handgun access. To use the digital keypad, it is advised to use a 9-volt battery in the proper compartment. A nine-volt battery offers a lifespan of 9 months to 1 year so you know you’re all set for a long period of time in terms of durability and functionality. The SV500 is provided with a mounting bracket, wooden screws, and thumbscrews. The mounting bracket has four holes so that you can secure it with the provided wood screws. After fixing the bracket to your wall, nightstand, or bedpost, you just have to use your key to access the drawer. The vault can be mounted using a pair of hooks that are present on the mounting bracket. It’s imperative to know that the SV500 can be placed on the mounting bracket either on the left, right, or rear of the vault. This allows you to access a variety of mounting locations. Just reach inside the vault, place the thumbscrews through the holes into the mounting bracket. Put your drawer back and you’re all set, it’s that easy. The entire installation takes less than 5 minutes. You’ll find out that the SV500 vault is able to stay well hidden by mounting it to a bedside and having a nightstand table pushed right up against it. The mounting bracket is robust and the option to pick your orientation lets you reach right over the edge of your bed and get your handgun or firearm quickly and certainly. 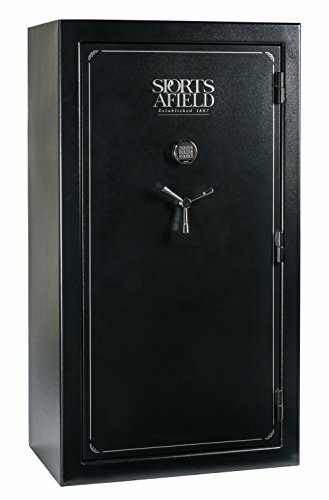 The safe’s dimensions also allow it to be perfectly placed in tight spaces with subtle camouflage so you can conveniently reach the vault without any worries of access or space. In the case of hackers or other unwanted persons, the different mounting options make it convenient to hide, making it very hard for anyone to find. This model is crinkled with the foam that allows you slide your handgun in and out without sullying the finish. Moreover, it embraces enough space for most full-sized revolvers or semi-autos, so its design allows you to store additional magazines and even the largest automatic machine. The SV500 also comes with a GunVault-patented Flambeau Zerust Plastab, which is made to avoid corrosion inside the safe. 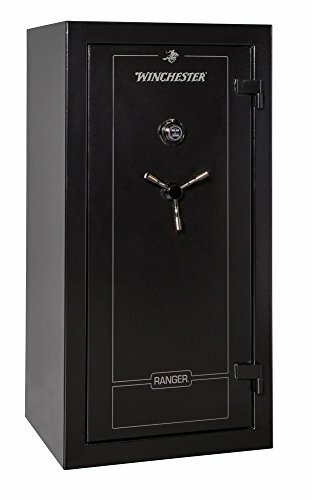 The safe’s sleek but subtle design and style allow it to be easily mistaken for a jewelry box, making it even tougher for unwanted individuals to get access to your possessions. Users have to sign up for the limited warranty to get coverage. One of the great benefits of the warranty is the option to replace gun safes in case of any fire damage or burglary attempts within five years of buying the product. 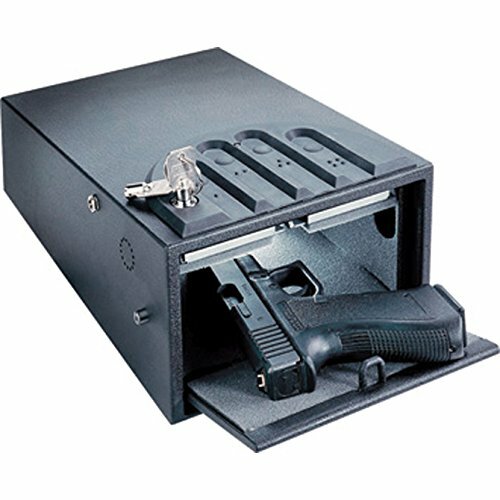 In case of any manufacturer defects, you get a one-year warranty that covers your gun safe. 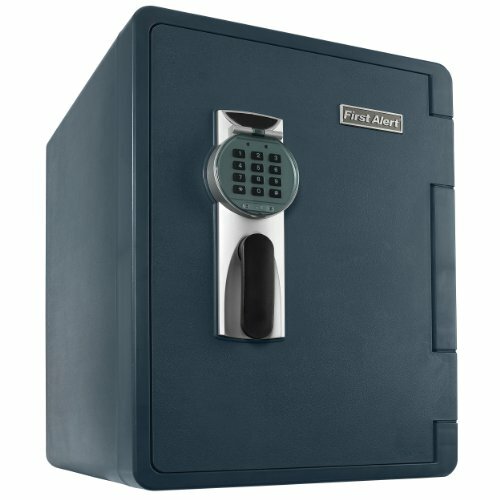 The warranty is comparatively short, so you should completely inspect your safe and check it thoroughly during use for any faults so that you can catch any issues early on and get a replacement. Making any modifications will nullify the warranty so you should weigh the pros and cons before making any permanent changes to your safe. 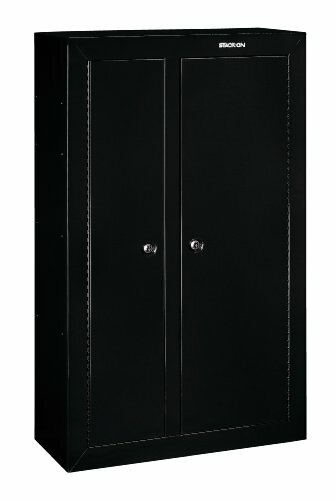 The Gun Vault Speed Vault Handgun Safe is an amazing product. 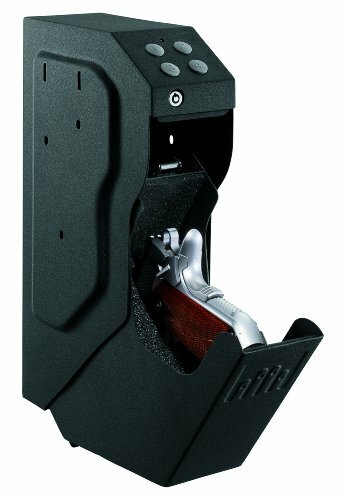 According to various user reviews, ratings and comments, the safe’s vertical mounting position makes it look like a holster or gun pouch, which is something many cowboys can enjoy. The digital keypad provides the option of a passcode setup for ideal security against kids, burglars, or other unwanted individuals. 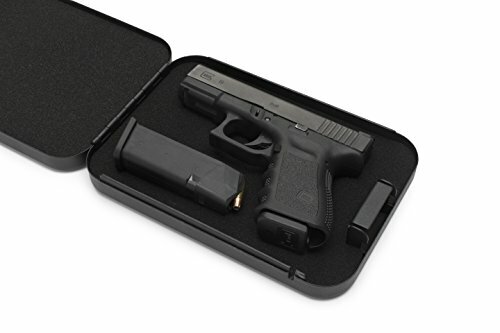 In case you forget to replace your batteries or even the passcode, all you need to do is use the backup keys and you’re good to go.The Safe is lined with foam that allows you slide the handgun in and out without harming the finish. Moreover, the safe has enough room for most semi-autos or full-sized revolvers.And,you can even keep extra magazines inside ofit. For individuals who don’t appreciate loud safes, you can make use of the safe’s silent mode to mute unwanted sounds to allow you to open the safe quietly. The internal light is useful especially in the dark so that you can easily and conveniently view and access your belongings. 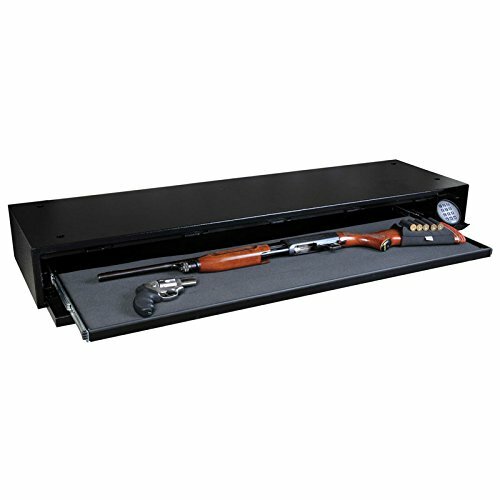 With such astounding features offered by a reliable and dependable company, you know that you can never go wrong with the GunVault’s Handgun Safe.